A major new report on LGBT asylum in Scotland has been released today. The 202 page report is a a joint project between Scotland's Equality Network and Black and Ethnic Minorities Infrastructure Scotland (BEMIS) and is based on a review of both international and UK literature, stakeholder interviews with 17 organisations, 11 in Scotland and 6 in London and a community consultation event attended by 25 people. The report concludes that significant barriers face LGBT asylum seekers fleeing persecution face in seeking sanctuary in Scotland. It says that despite recent positive developments such as the Supreme Court ruling, (limited) training for UKBA staff and a new Asylum Policy Instruction for those staff "the current asylum system remains deeply flawed." It reports on a "culture of disbelief" within the UK Border Agency (UKBA) and unreasonable evidential burdens being placed on individuals, particularly in relation to having to prove their sexual orientation or having their gender identity acknowledged and "huge" gaps in country of origin information used in decision making. Despite the Supreme Court 'discretion and relocation' ruling it says that UKBA are not proactively reviewing all LGBT asylum cases previously refused on the grounds that the person could go back and be discreet. "This makes it difficult for the Coalition UK Government to honour their pledge not to deport LGBT asylum seekers who face torture or inhumane treatment." The use of fast-track processing - where case are refused and put into a process where people are detained and their legal options reduced - is preventing both them and their legal representatives from having the time to present a full case, it says. "We are concerned that the asylum process has become firm and fast, but has forgotten about being fair." The government has made it clear that unlike some other vulnerable groups, LGBT asylum seekers would not be excluded from being placed in the fast-track procedure. Official discussion on LGBT asylum issues fails "to consider the individual experiences encountered by people who are lesbian, gay, bisexual or transgender", it says. The voice of LGBT asylum seekers should "be heard in policy debates and discussions about the future development of services." In particular it reports a low level of understanding on transgender issues. Strong concerns were raised during the research about transgender asylum seekers being particularly vulnerable to physical, sexual and emotional abuse within asylum detention centres. ‘Transgender asylum seekers in detention risk being subjected to transphobic sexual and physical assault; demeaning inappropriate intimate searches and medical examinations by curious staff, and also suffer psychological distress due to their gender identity not being shown any respect’. Culture, faith and social pressures impact on the well-being of LGBT asylum seekers/refugees, it says, and the terminology and concepts used in the west "may or may not be easily translated to people coming from other parts of the globe." LGBT asylum seekers and refugees in Scotland are isolated and largely invisible, it says. In particular, it noted the lack of visibility of lesbians and of young people who may be dependants of asylum families or settled refugees. clearer routes into specialist advice provision for individual LGBT asylum seekers. 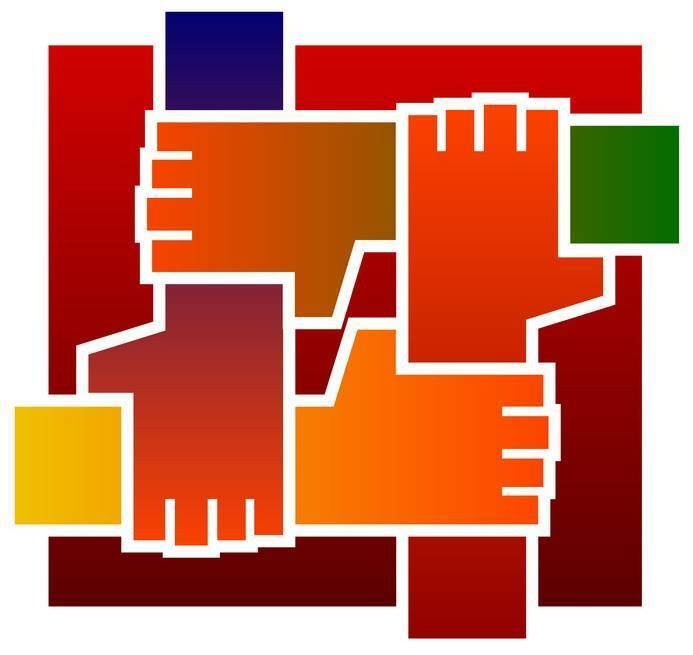 There is a lack of data about the size and demographics of Scotland’s LGBT asylum/refugee population and organisations rarely have any systems in place to monitor the type and level of enquiry they have from this client group. There is a "particular failure", it says, from UKBA to ensure that contracts with housing providers or funding awarded to larger refugee organisations have any equality requirements in relation to sexual orientation or gender identity. Many services it found are lacking in confidence, capacity or expertise to best address the needs of LGBT asylum seekers/refugees. Some voluntary sector organisations working with asylum seekers and refugees in Scotland do not see LGBT asylum as a core part of their work and those organisations already doing work are struggling to cope within existing resources. Little work has been done at a community level to challenge homophobia or transphobia within refugee communities. More work also needs to be done, it says, with the many faith based groups who provide the setting for much of the community-based refugee activity in Glasgow. However, there is a willingness amongst organisations to do more, it says, and this shows the need for a wider awareness raising campaign is needed that utilises both mainstream media and social networking sites as well as developing training and educational resources. LGBT asylum seekers need to be open about their sexual orientation or gender identity early in the asylum process but without access to safe spaces within community settings, it says, this may be difficult to achieve. From interviews the report identified a need for further work examining the particular experiences of LGBT asylum seekers at Dungavel Detention Centre. 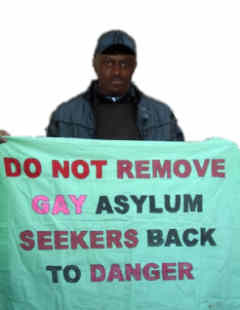 It says that gay men suffer "abuse and violence" within detention centres and that detention has a "terrible impact" on LGBT asylum seekers’ mental health. "many services will be just looking to survive rather than take on what will be for most a new and potentially time consuming type of work." "we need a system that actively celebrates providing sanctuary to those fleeing persecution and has a support system in place built around concepts of fairness, dignity and respect. This can only be achieved by bringing more people together to support LGBT asylum seekers/refugees and to create links between organisations, lawyers, academics and activists already working in the fields of equality and human rights."